Thick and textured tomato puree will complement any soups, stews, sauces, or any other dish where the tomato flavour is desired. Once opened, keep refrigerated and use within 4 weeks. 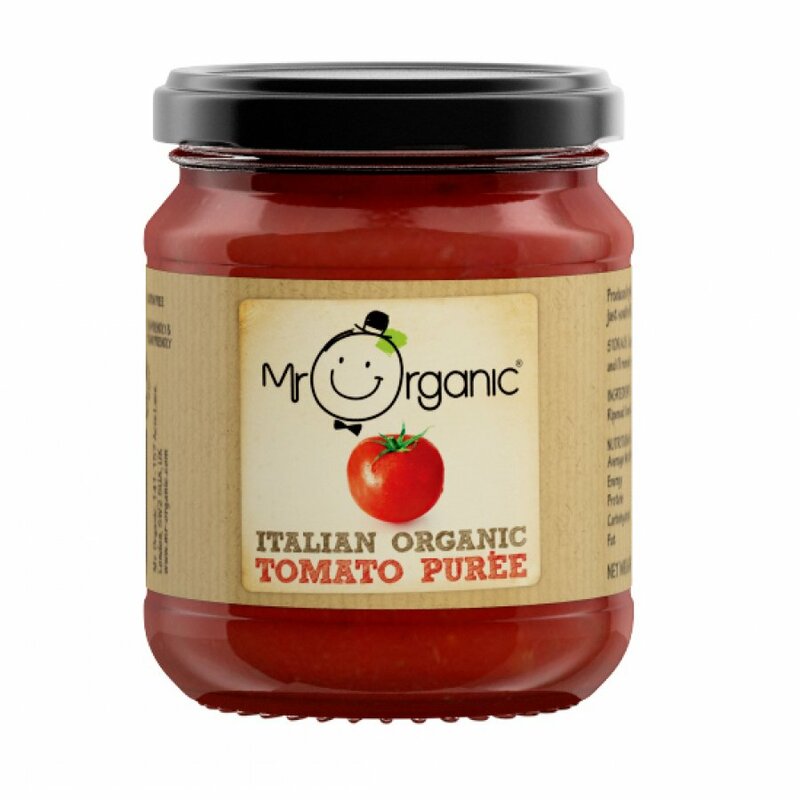 The Mr Organic Italian Tomato Puree - 200g product ethics are indicated below. To learn more about these product ethics and to see related products, follow the links below. I was looking for tomato puree in a bottle for a long time and can't be more happier to find this one. Finally no can no BPA .rnPreparing very tasty ketchup what kids loves and don't over it because it's enough strong to please tasty channels. Tomato sauces as well, for pasta or pizza, very handy and quickly prepared. There are currently no questions to display about Mr Organic Italian Tomato Puree - 200g. Mr. Organic has been a family business in Italy for over 40 years; although only in the last twelve years did it actually convert from non-organic to organic production, which stemmed from the belief that organic is better for you and the environment. The company’s organic tomato products are made with tomatoes grown free from pesticides and hormones in farms close to the factory in order to cut down on carbon emissions because Mr. Organic is committed to being good to the environment. With regards to farming the tomatoes, Mr. Organic has worked with the same famers for years so they know exactly where their tomatoes come from, and they pre-finance the crops to ensure a fair price and to increase production, supporting the local community.